State and local agricultural fairs are one of the primary showcases for American farmers and growers. Fairs provide opportunities for the agriculture community to demonstrate the importance and value of farming and agriculture to our economy and our nation’s food security. The partnership between the mobile amusement industry and the agricultural fairs provides an opportunity for youth participation via 4-H competitions, auctions, and other activities, while raising tens of thousands of dollars each year in scholarships, helping to ensure a future generation of farmers and agricultural leaders. 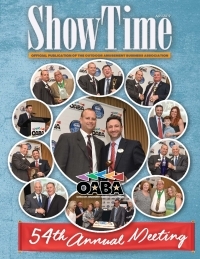 OABA represents some 2,500 members, 200 carnivals, 15 circuses and hundreds of traveling food/game concessionaires in the United States. The vast majority of our members are small, family businesses, many in their second and third generation of ownership. They rely heavily on seasonal labor to supplement their full time staff and to ensure that their operations run smoothly and professionally during their busy months. Our industry is highly-regulated at the federal level by, among others, OSHA (workplace safety), DOT (transportation), CPSC (products/ride safety), as well as at the state level. In addition, our seasonal guest worker hiring and labor practices are subject to the Department of Labor’s H-2B requirements in order to qualify for visas for foreign labor. Employers must, among other things, advertise in industry and community publications, post job openings on their company website, display help wanted signs at their place of business, participate in job fairs, and provide incentives for existing workers to refer friends, etc. Despite all of these actions, this seasonal industry is still not able to secure a workforce of qualified, U.S. labor. In return, our workers are compensated at a US Department of Labor approved wage of approximately $10 per hour, plus housing and transportation (valued at approximately $3-5 per hour, depending on locale). The H-2B program also requires employers to cover the costs of visas and travel to and from their home country. Workers are provided uniforms and are subject to rigorous training programs to ensure that they have the skills and competencies necessary to operate rides and other equipment, service food operations and run games and concession stands. Our industry enjoys an 85% return rate on foreign workers. In many instances, our returning guest workers have become part of the “family” atmosphere in the mobile amusement industry and participate in recreational outings, sporting events, and other employee activities provided by the show owner.